I was read some thread in LowEndTalk forum, and saw someone asking a basic thing about SEO – he ask “why a new website able to have a first position on search engine result page?”. Then someone replying his thread confidently by writing a sentence “write quality contents, yes, you are welcome!”. Well, does quality contents really boost SEO result? If yes, then how come a brand new website with a small count of contents able to defeat his competitors easily? A big search engine company, such as Google highly advises webmasters to build a website that promotes user experiences. By creating high quality articles or contents, user friendly web design, etc. This will encourage visitors to do revisiting your website or blog by themselves. Thus, will also give a good boost on SEO and search engine result page (SERP) position. But somehow, based my own research, search engine bots mostly count backlinks as parameter for search engine result pages score, not depending on your contents quality. Technically, search engines such as Google use artificial inteligents combined with complex algorithm to give a best search results for their visitors. This technology, does not have ability to assess your website contents perfectly – does it have high quality or not. 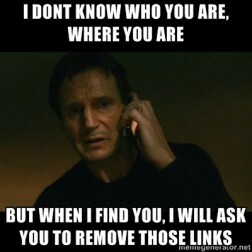 Thats why they count backlinks as parameter for search results scoring. Let me show you a super simple example, that backlinks is an essential parameter for SERP scoring. Try search on Google this short sentence: “click here”, and see the search results. “Click Here”, a magical keywords. You may ask, why a website that is in the first position of SERP is adobe.com? They even do not have the keyword “click here” either in the title, description, or in their website content. The answer is because because adobe.com get a lot of backlinks from thousands sites with anchor text “click here”, or anchor text containing the phrase “click here “, such as “In order to read our documentation, you need Adobe reader, please click here to download it”, or “please click here to download Adobe Reader”, etc. So, do not be overzealous with keyword density techniques such using a plugin like SEO by Yoast, Ultimate SEO, etc. Because without sufficient backlinks your website will still not be able to compete in the SERP. Backlinks vs. Quality Contents, who win? As on the previous example, Adobe.com has keyword density of less than 1%, even most of 0% or nothing for “click here” as a keyword, certainly does not meet the criteria when viewed from the SEO plugins scoring (as on SEO by Yoast), right? On the the real world, we have to think realistically. Google told to write quality articles to website owners to boosts natural link-baits (of visitors who liked the article) or so-called content marketing. But today, it is very difficult to get natural links from other websites even though we’ve been trying hard to make an interesting article. For competitive keywords such as “car insurance”, “personal loans”, “injury lawyer”, “structured settlement”, “insurance”, “sell the house”, it is really hard to get a good SERP position if we only rely on quality contents. Another example is for the keywords associated with adult contents and gambling. Does the first page of the SERP dominated by website owners who rely on high quality content marketing techniques? The first page of the SERP for adults contents and gambling dominated by 99% company that utilise and use paid links as a promotional medium. So once more. does quality contents really boost SEO result? The answer is yes, if your contents able to get a good and natural backlinks from high quality websites. But you should note that its really hard to get a good SERP position if we only rely on quality contents. You should surely agree that the major search engines algorithm for ranking the sites are still far from perfect after reading this article. My advice is try to get natural backlinks beside writing quality contents. Use your own experiments, do trial-and-error, case studies, to look for patterns that would be used as a reference in practicing optimal SEO and generate positive effects for your website. Find what works and what is not effective in link building, which are really influential to SEO. SEO is something that is unpredictable, and I hope this (does quality contents really boost SEO result) analysis can provide new insights for you to understanding how SEO and search engines algorithms work. Have your own analysis or opinions? Let’s talk! 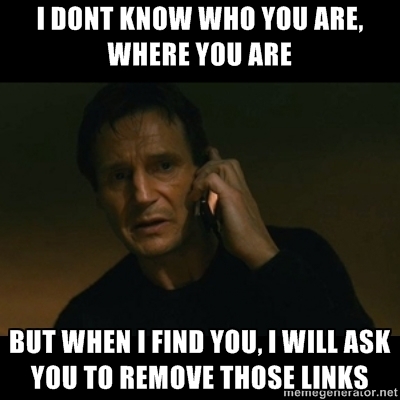 I will gladly accept various SEO analysis from another point of view. Next story Apa Itu VPS dan Kapan Saya Harus Pakai VPS?